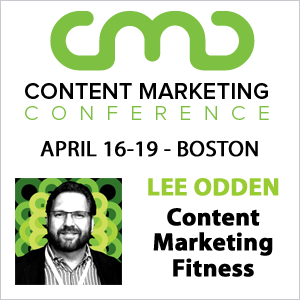 Content comes in many forms, including social media messages, blog posts, video, and more. But video is largely ignored with only 30% of B2B marketers believing video will be critical to their content marketing success. Considering video accounts for 74% of all internet traffic your brand cannot ignore video marketing. With audience’s having an average attention span of only eight seconds it’s one of the best ways to hold attention and increase audience engagement. This is especially true for long-form video—videos that are roughly 10 minutes in length or longer. In fact, audiences engage in more long-form videos accounting for 63% off all time spent watching videos across devices. Long-form video is a proven and effective way of capturing and engaging audiences, but where do you begin? To help inspire your own long-form video content ideas and drive audience engagement, we gathered seven leading examples from leading B2C and B2B brands. The Final Take: Use your company’s mission or purpose to drive long-form video content and connect with audiences on a personal level. As a car company, Chevrolet helps you get from point A to point B. On a deeper level, cars help you get to where you want to go and help you achieve the goals you’ve set your sights on. That’s the message Chevy wants to instill on their customers, but with strong competition and a recovering American car industry it was going to take more than a mission statement. To illustrate the importance of reaching your dreams, overcoming challenges, and rising to new heights, Chevrolet created a documentary highlighting baseball superstar Mo’ne Davis. Mo’ne was the first female pitcher to have a shutout game in the Little League World Series, an accomplishment that would make her the first female baseball pitcher to appear on the cover of Sports Illustrated. Chevrolet’s documentary interviews Mo’ne, her family, and friends to share what makes her unique both as a daughter of America and as a person in general. The end result is an emotional film that leaves the audience inspired to accomplish the impossible. The Final Take: Evoke emotion within your audience by showcasing inspirational people and life stories. General Electric (GE) has a wide range of products and services, making it a challenge to market them effectively. And given the name, many people may assume that GE is simply a power company. In reality, GE has segments in aviation, healthcare, lighting, transportation, and more. So how can they educate the masses that they’re more than a power plant? To educate their audience on how GE powers everything from cities to jet engines, GE created a video series “Into the Wild.” The series follows former Mythbuster Adam Savage as he endeavors to understand the mechanics behind GE’s many products and services. Through expert interviews, animations, and easy to understand explanations, Adam (and the audience) learn just how GE helps power the world. The Final Take: Long-form video is a great opportunity to educate your audience with visual learning tools like in-person interviews, demonstrations, diagrams, and more. Cisco, one of the world’s largest networking giants, is well aware that cyber security is one of the most important things they can offer in today’s hyperconnected world. Without a strong and secure network, businesses, markets, and people’s personal information is at risk. Recognizing this, Cisco created Ransomware Defense to keep hackers at bay. To generate awareness for their new security product, but also for ransomware itself, Cisco made a video that highlights exactly how a hacker completes ransomware. The video itself is very informative, but what makes it so effective is the suspense they created. By creating a mini-movie that follows a hacker performing a successful ransomware attack, the audience is left feeling vulnerable and in need of protection or further information. Given this feeling, it’s no wonder that it is one of Cisco’s most watched YouTube videos to date. The Final Take: Grab your audience’s attention through a suspenseful storyline that leaves the audience needing more. REI stores are rooted in community given their status as the nation’s largest consumer cooperative. Starting as a group of 23 mountain climbers, the brand quickly grew to become a community of active people who love the outdoors—it’s part of what makes REI a unique brand. To highlight their unique communities and the camaraderie that can be found in the outdoors, REI turned to video content. The most powerful piece of video from REI is their documentary titled “Paul’s Boots.” After hearing about the death of Paul, a man whose greatest dream was to hike the Appalachian Trail, REI and their partner The Dirtbag Diaries reached out to 400 hikers and asked them to carry Paul’s boots the entire length of the AT. This documentary follows Paul’s pair of boots through the eyes of each hiker that offered to carry them, showing how one community came together to help Paul achieve his dream. The Final Take: The most incredible stories can come from right under your nose. Take inspiration from your customers—do something special for them and share their story with the world. IBM is all about innovation. And one thing they realize is that it is the people who work at IBM that power innovation. To help them recruit leading minds and progressive thinkers, IBM decided to highlight the teams that are behind groundbreaking innovations. Not only would the video showcase their incredible work, but it would also showcase the makeup of the team. Through exploring the team that created their most recent breakthrough in polymer bonds, IBM showed how a strong team bond with a diverse background can power innovation. And by focusing on the people and allowing them to share their backgrounds, it humanized IBM while establishing their credibility. The Final Take: Humanize your company and show your expertise by highlighting the personalities that make your brand exciting to work for. Believe it or not, BMW has been making films since 2001. A pioneer of long-form video content, BMW has been using online video to engage audiences in their brand and foster brand loyalty since before the creation of YouTube. The original films follow actor Clive Owen as a driver for hire who encounters several unique challenges while on the job, showing off the capabilities of the car along the way. Most recently, BMW Films released “The Escape,” a new short that revisits their original Clive Owen film series. Not only does the film showcase the performance of their new 5 series sedan, but it also embodies their tagline “The Ultimate Driving Machine” with Clive Owen using speed, torque, agility, and wit to escape his pursuers. The Final Take: While the production value of these films are obviously high, the real reason they captivate audiences is the action-packed story that breaks the norm. Don’t be afraid to get creative with an exciting narrative that showcases your brand, values, or products as well. 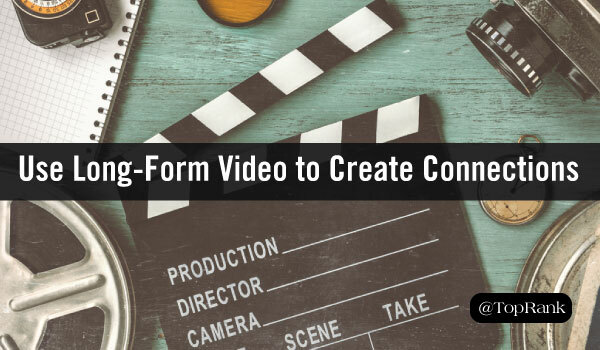 Long-form video is an enormous opportunity for content marketers to connect with audiences on a new level. Find out how to get started in video content marketing with our own video tips or check out our interview with comedic genius and Cisco Creative Director of Marketing, Tim Washer.